Here’s the thing, I feel the need to point out that my blogging has waned the past several days. Have you noticed? I’m behind. Behind in writing and behind in reading. When I find time to read, the background noise increases and becomes too distracting to enjoy what I am reading. When I find time to write, my head is overwhelmed with unorganized ramblings of ideas and my energy level is low to non-existent, so I am unable to organize the rambling of ideas. WARNING: I am not a scientist. I am not a mathematician. I am not a theologian. And, I was born with blond hair. Proceed with caution. This morning I played hooky by not going to church. And, in a show of superior hypocrisy, after I drove my boys to church, I came back home. I assumed, because I left them with a group of Christians, the boys would be safe and completely fine until I returned two hours later. That’s OK, right? Easy there, readers. I did not leave the boys with a bunch of strangers. Rob was there waiting for the boys. See, last night, the boys stayed at Grandma and Grandpa’s house, while Rob and I went to watch a baseball game. Then, this morning, I went to the grandparents’ house and picked up the boys, while Rob stayed behind, had a casual morning and met the boys and I later. Once I dropped the boys off safe in the hands of their Dad, I left to enjoy my Sunday in my own spiritual way. On my way home, I noticed a couple of church passenger vans. Seeing two different ‘churches on wheels’ pass me, I wondered what it was about Christianity that made it so hard to stay together. The Bible is one book, yet there are countless opinions about what the stories mean within the Bible. Whether you break it down by Protestant faiths: Baptist, Methodist, Presbyterian, etc. or Catholic faiths: Roman, Orthodox, Byzantine, etc., the same Bible is used to ‘back’ their beliefs. Although, Catholics do incorporate the Apocrypha and Protestants do not. How can one book be interpreted differently by various groups of people, claiming their way is the right way? What about Jews and Muslims? Are there different ‘parties’ within the Jewish faith? I know there are Orthodox Jews and Hasidic Jews, but I don’t know if there are other types of Jews. And, because of the multiple types, is it safe to assume Jews also read the Torah differently? I know the least about Muslims, when it comes to variety. If I base it on Christianity and Judaism, I assume Muslims read and interpret the Koran differently. On Friday, while in my car and literally driving out of the drive-way, two men approached my car. Being a polite Christian woman, (snort) I stopped short of their toes. I put my window down, and I let them speak to me. As I pointed out my hypocritical ways earlier, it should come as no surprise that I also stereotype people. And, I stereotypically assumed these men were about to witness to me about why their faith was the best faith. And sure enough, this was the goal of these two Jehovah Witnesses. Again. Same Bible – different interpretation. Mormons? They have their own book, as well as various ‘parties’. Perhaps, the fact that the various forms of religion cannot agree on their own individual religion, people are deterred from organized religion. All I know for certain is that while I was enjoying the wonderful morning, picking clovers, feeding the bunnies and patting the barn cat, I couldn’t help but thank God for what surrounded me. I don’t know if it is a sign of weakness or a sign of strength, but I have a hard time comprehending the world, the galaxies, the universe and space without believing a greater being created it. I remember one of my friends from elementary school and I would stay up late at night, when we spent the night together. She and I would go back and forth trying to visualize ‘nothing’. We would start laughing hysterically, while also getting a bit freaked out at the impossible task of visualizing nothing. It cannot be done. Because the instant you think of nothing, you are, in fact, thinking of something. Isn’t nothing something? 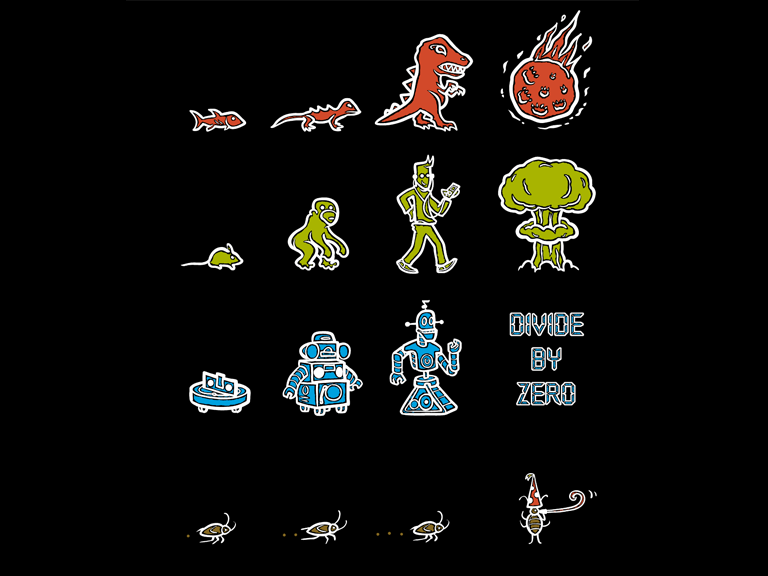 What is divisible by zero? Wait. Nevermind. As I wasn’t saying, I am thankful for my faith. I am thankful for experiencing mornings like my morning today. And, I believe my faith provides me with a greater sense of appreciation, because I don’t take it for granted. What surrounds me is not mere happenstance. What surrounds me is not just a fluke. What surrounds me is a miracle in and of itself. There is beauty in the greatness of this world, galaxy, universe and space. And, I don’t understand how someone can shrug it off as ‘meh’ or have the thought that there is nothing greater than him/herself. I wish the faiths of the world would unite. Though many may not realize, the Bible, Koran and Torah have many similarities. But, as is the case within the each religious sect/order, when a fork was seen in the road, different paths were taken. I’m not sure of my point today, readers. I had a lovely and peaceful morning, and I was left with a feeling of gratitude and blessings. I know there is a great deal of crap in the world. I know the world is filled with pain, suffering, poverty, starvation and oddities within Wal-Mart. One of my hopes is that you are able to take a moment each day to see the miracle – see the wonder that exists amongst the crap. And please, when I am having a really icky day, would you remind me of the day I had today, relaxing in a clover field, feeding the bunnies and patting the barn cat? Thanks!